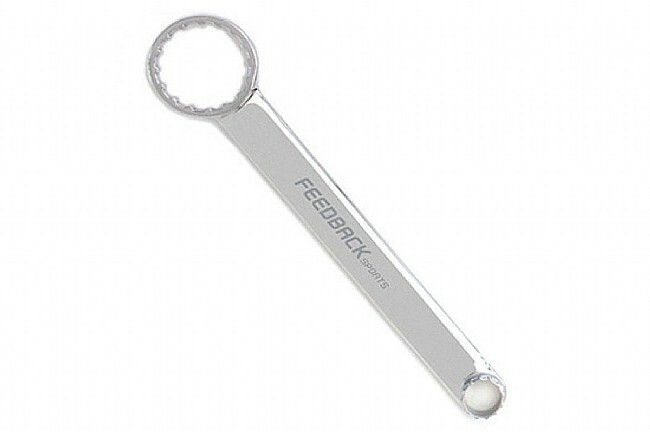 Your bottom bracket and cassette are two things you don't want coming loose while you ride, so tighten them down right with this 12.5" wrench from Feedback. Its cast-steel construction can handle all the garage abuse you can dish out, and it's compatible with Shimano / SRAM cassette lockrings; 44 mm diameter, 16-notch external bottom bracket cups, such as SRAM, Shimano Hollowtech II, FSA, Race Face, and others; as well as notched Centerlock rotor lockrings. This is a great combo tool for cassette lockrings, Shimano bottom brackets and external disc rotor lock rings. Finish quality is excellent and very useful in the garage and for bike travel assembly.